Congratulations, Denny...Your work is exceptional, and you certainly deserve the win! I really like the composition and the colors. Thank you for entering the Toads and Frogs contest! Good luck! Well done Denny,great piece of work. Your work is outstanding! 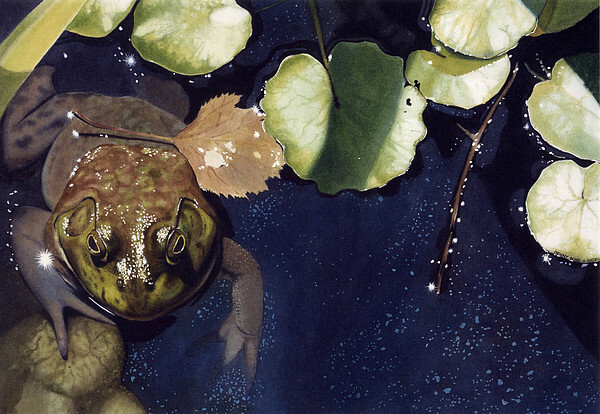 Love the wet, highlighting, effects on this one! 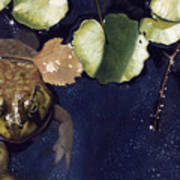 Pond wildlife is a favorite subject matter for my paintings. 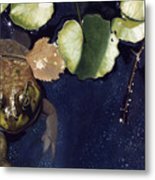 With seven ponds stocked with koi, goldfish, and frogs, it's a never ending changing scene. 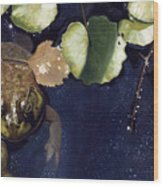 This was the largest frog that we ever had, nicknamed the Phantom because we rarely caught a glimpse of him before he hit the water.